Over half of the American population (73 percent, to be exact) will die in debt. It’s no laughing matter, that’s for sure. Even still, words like “budget”, “thrifty”, and “frugal” often have negative connotations tied to them. There’s a certain sense of shame in turning down an invitation for post-work drinks because there just “isn’t room in the budget this month,” isn’t there? If you don’t want to be one of the majority, it’s never too late to learn how to manage your money. Here, we’ll outline everything you need to know about how to create a financial budget. You’ll no longer have to worry about whether you’ll make it through to the end of the month or not. In fact, you might even have some room to treat yo self, too! Do use your best discretion, though. Make budgeting a breeze by following the steps we’ve outlined below. Before you can implement any kind of financial budget, you need to understand how to set financial goals you can keep, what yours are, and how you’re going to achieve them. There are two types of financial goals: short-term and long-term. As a quick example, a short-term goal could be as simple as saving up for a summer vacation. Or a new pair of handcrafted leather shoes. Whatever your heart desires, so long as it’s not going to take you a long time to achieve. A long-term goal might look a little bit different. Perhaps you’re saving up to put a downpayment on your first home. Or you’re planning ahead for retirement. These are goals that you’ll need a longer timeline to achieve. Decide what type of goal you want to set for yourself. Then, you’ll need to create a deadline by which you want to achieve your goal. As with so many other areas of modern life, technology has simplified managing finances, too. When it comes to creating a financial budget, there are a few different systems you can utilize to create and maintain it. Ah, a classic! This is the most bare-bones (and also the easiest) way to create a financial budget. Literally, all you have to do is track your income and expenses on paper and balance them at the end of the month to make sure your expenses aren’t greater than your income. This is a step above hand-writing your budget. You don’t need to be particularly tech-savvy to use this system, either. All you’ll need to do is be familiar with Microsoft Excel. This program features spreadsheets designed for budgeting, so any guesswork is taken out of the equation. Speaking of which…you don’t even have to do the math because Excel does it for you! 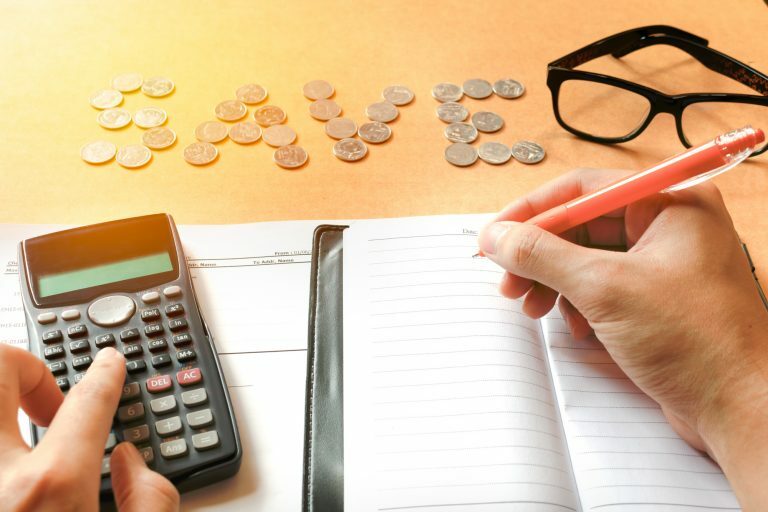 Mint.com is a great example of an easy-to-use online tool for budgeting. The way it works is simple. Once you’ve created a free account on their website, you can track and pay bills and calculate your average spend to create a budget. For the more tech-savvy budgeters out there, financial software is also an option. However, it may come at a cost, and depending on what your current expenses look like, may not be the best choice for you. Ensure that you can afford (and use) it prior to making an investment. Whichever system you choose to use for this step is fine. Calculate your monthly income after tax. Once you have this amount, you’ll want to calculate any expenses you may have. There are three primary types of expenses. We’ll explore them in more depth below. A fixed expense can be defined as any expense which does not change over time. Thus, it is “fixed.” A popular example of a fixed expense is a rent or mortgage payment. Variable expenses will change from one month to the next. For example, one month you may host a party at your home, for which you plan to prepare many different types of food. During that month, your grocery bill would be higher than it typically is, meaning it has varied from past months. Finally, we have discretionary expenses. These are any things you decide to spend your disposable income on. For example, one month, you decide to treat yourself to a new pair of jeans. Upon calculating your income and expenses, you’ll need to review them and assess if your income is greater than your expenses or vice versa. From there, you can use the goals you set previously to determine how you’ll need to adjust what you expend. When it comes time to analyze your budget, it’s a good idea to ask yourself questions like those we’ve outlined below. Am I working towards my goal(s)? Am I on track to reach them by my deadline? Can I cut any additional expenses to meet my goals faster? Use these questions as a way to gauge what types of adjustments you’ll need to make moving forward. After you have reviewed your budget for an extended period of time, you may find that there are some changes you want (or need) to make. And you know what? That’s perfectly normal. Have you suddenly moved and realized you’re facing additional expenses? You may need to trim the fat from the rest of your budget to account for any new expenses you’re going to incur. No matter what type of financial budget you choose or your reasoning behind it, it doesn’t have to be forever. In fact, no budget is going to stay the same for all of eternity. Circumstances, people, and things change. Life happens. Your budget is going to need to change in accordance with your life, and that’s OK. Just asses, analyze, and adjust as you need to. Looking for more tips? Why not some more time on our blog?